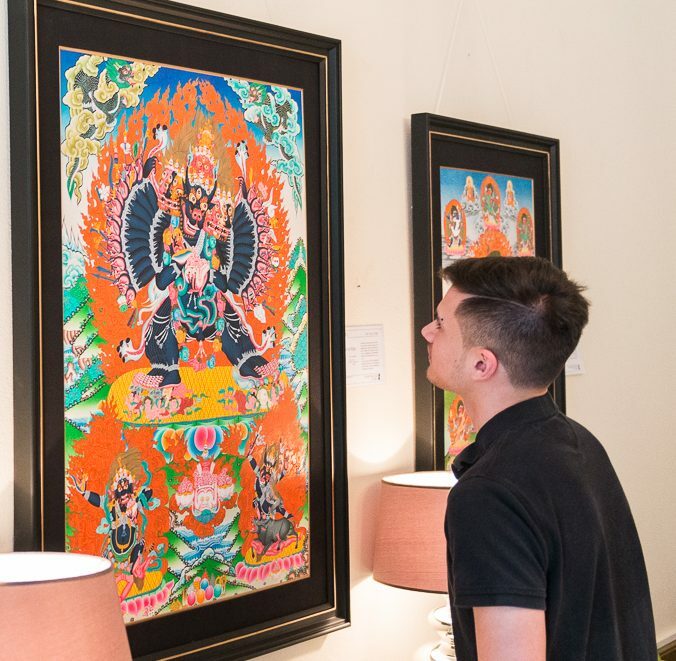 Having worked with Thangkas for over 35 years, my passion and love for this art has only grown with time. I may have had the honor of meeting some of you in the shop, and if not I hope to meet you soon ! Feel free to reach out to me if you wish to do so. My collection is available online ! With the rapid growth of the internet I have decided to create an e-Gallery where you can read about, view and custom order thangkas. This is a project initiated by Satcheen, my son, to give you a better understanding of Thangkas using visual explanations. If you have any question or queries please fill in this form and we will get back to you very soon !